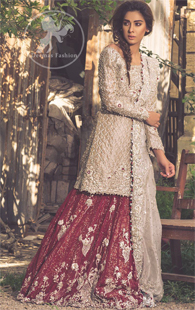 Tags: Bridal, Couture, Dark Red, Fawn, Lehenga, Reception & First Day. 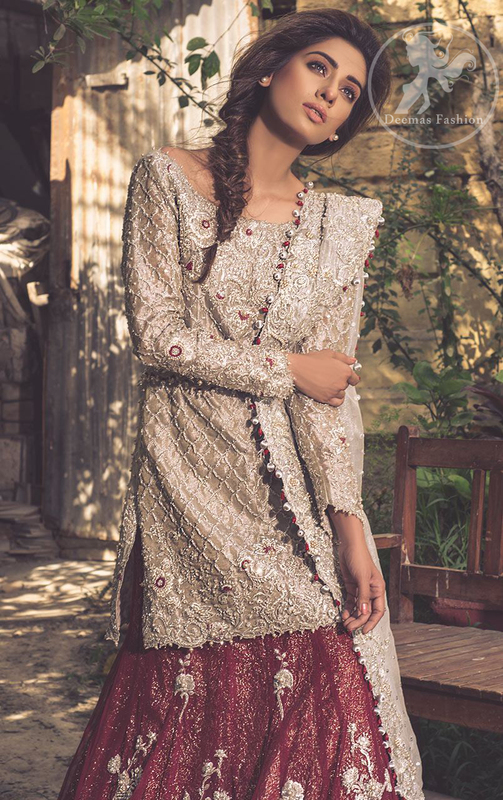 Shirt has been adorned with hand embroidered neckline and hemline. 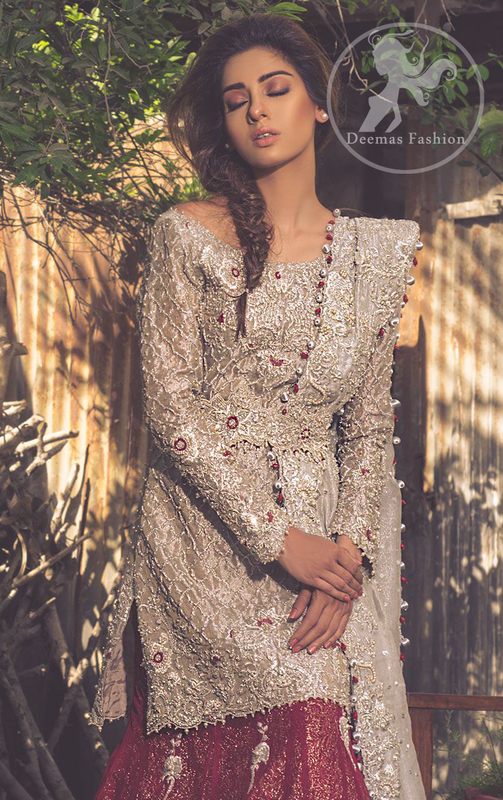 Dress comes with embellished waist belt. 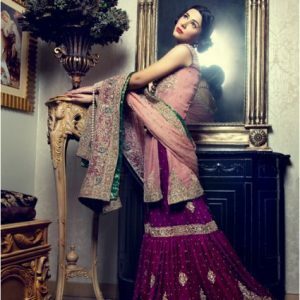 Embellished border implemented at the bottom of lehenga. Motifs spray scattered all over the lehenga.